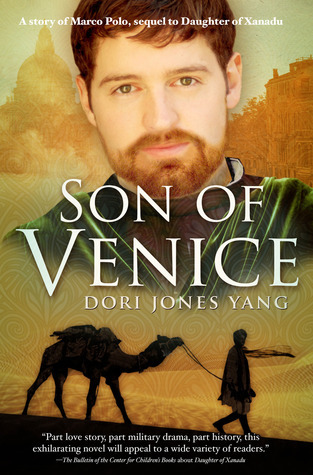 I'm fortunate to have Dori Jones Yang as a guest on my blog today. 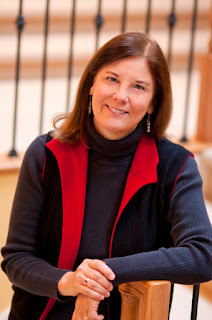 Dori is an author who writes YA historical fiction. I reviewed her previous wonderful book, Daughter of Xanadu, back in October. Her current book, a sequel, is titled Son of Venice. I'm one of the stops on the arc tour for this book, so my review will follow! Susan: Your personal history shows a long interest in Chinese culture. According to your website, you quit your job in journalism to write a book about Marco Polo. Daughter of Xanadu is told from Princess Emmajin’s point of view. The sequel, Son of Venice, alternates viewpoints between Emmajin and Marco Polo. What made you decide to approach Marco Polo’s story by coming at it first from Emmajin’s perspective rather than his own? Dori: Marco Polo became famous because he wrote his own book about his travels to China; he was one of the first Europeans to go there. So we already have his perspective. In the U.S., most of us learned history from books written by European or American men. I wanted to turn history on its head and write from the perspective of a woman—and an Asian. What did Marco Polo look like to an Asian woman? When everyone you know has brown eyes and black hair, Europeans must look very strange. Also, the Mongol Empire was the superpower of its era, and Mongols looked down on people from other countries. They saw Europe as a distant, backward place. I believe that when you live in a superpower, you should take care not to seem arrogant or superior to people from other countries. Susan: The historical details of the books are very realistic and the reading experience is immersive. What sources did you use to research Marco Polo’s life? Same question for Khubilai Khan and for Mongolian court life. One of the versions of Marco Polo’s Travels, the Yule-Cordier edition, has some amazing footnotes filled with background research and details. Marco described a Mongol princess who challenged every suitor to a wrestling match and defeated them all; that got me thinking. I also read a lot about Europe in the High Middle Ages, during the thirteenth century, the era of medieval courtly love. How would stories of courtly love go over with the tough Mongols? But most of my research was about Mongolian lifestyle, culture, and history, and about the Mongol Era, which I knew little about. Jack Weatherford wrote a great book about Genghis Khan and another about how the Khan gave surprising power to his daughters, making them Mongol queens of conquered territories. Also, I spent many happy hours pouring over maps. We met on a panel at The Historical Novel Society meeting where we discussed YA versus adult historical fiction. What made you decide to write for a YA audience? Originally, I wrote this story for adults. But I found a terrific, enthusiastic editor of young adult fiction at Random House, and she convinced me that high school students would love this story. Since then, I’ve discovered one reason why: Today’s teenagers and twenty-somethings grew up in a multicultural society and a global world. A novel about the Mongol Empire is no more foreign to them than a book about Italian Renaissance painters. They don’t necessarily have preconceived notions about historical fiction. I’ve done more than thirty school visits and discovered that students love learning about faraway places and different cultures. You’ve visited Xanadu. What was it like? Have you been to Venice? How large a role does travel play in your research and writing? Finding Xanadu was amazing. It is only 170 miles north of Beijing but it took us two full days to drive there, through winding mountain roads that are not well-marked. When the Mongol Empire was overthrown, the marble palace and flowering gardens of Xanadu were completely destroyed, so there is little left to see. But with my historical research and my novelist’s imagination, I could envision the Great Khan’s court in session and Emmajin riding in the nearby hills. My friend and I stood in a huge field of wildflowers and recited the poem "In Xanadu did Kubla Khan." I also traveled to Venice and am eager to go back. Travel helps me as a writer create a vivid sense of place. It’s not essential, but it sure is fun. Thank you so much for sharing with us on my blog. What do readers have to look forward to from you next? Thanks so much for your interest! I have just finishing writing another cross-cultural, historical novel for younger readers, age 10 to 12. It is set in a totally different time and place. Once I have a publisher, I’ll announce it on my website, www.dorijonesyang.com.